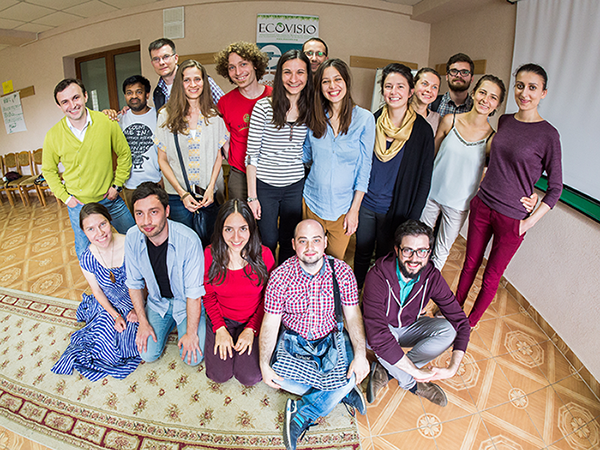 EcoVisio is a youth led grassroots NGO from Moldova. We envision Moldova and its neighbours as a model region of empowered society, healthy environment and vigorous, fair economy. Our work is dedicated to gradual realization of the full potential of Moldova and its neighborhood as a model region for sustainable development. For this purpose we run educational and empowerment programs for individuals, create and advocate for viable examples of ecological and social innovations and boost cooperation between changemakers through networks’ development. Our main working topics are: Education for Sustainable Development, Peace and Transformative Leadership, Social Entrepreneurship and Green Economy, Rural Development and Tourism, Trees and Organic Agriculture, Eco-Construction, Waste Management and Energy. The history of EcoVisio began in 1999, when it was born as the Ecological Association for Children and Youth in Moldova. Over time, as its audience became wider, the name was changed to EcoVisio, in order to reflect better the goals and activities of the organization. 2013 - launch of program "activEco - sustainability in action"
2016 - launch of program "activePeace"
2017 - launch of program "ActiveOrganic"
2017 - launch of program "Social Entrepreneurship - Make It Matter"
The interdisciplinary team of EcoVisio combines experiences of civic involvement for democracy, social entrepreneurship, international development, peace & conflict transformation and environmental expertise based on diverse work and background in volunteering. Currently EcoVisio has 15 active staff members. To get in touch with them, visit our Contacts page. There are also several hundred volunteer helpers and supporters in the extended circle, who are extremely important to the overall success of our joint activities. Each year the EcoVisio team, as well as the number of members and partners of the Association, is growing. We put high emphasis on cooperation with other actors of sustainable development in Moldova and abroad - such as environmental NGOs, educational institutions, ministries, both national and foreign, embassies, companies and international organizations. To learn about them, visit our Partners page.